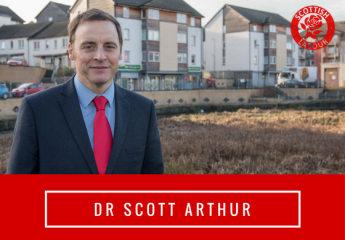 I’m in no doubt – Closing the attainment gap is Labour’s “top priority”. I feel that the Evening News may have slightly misrepresented my views (report, 17/08/19). I have never doubted which policies were most important to Labour Councillors in Edinburgh. An Education system which helps everyone reach their full potential was a key part of our campaign in May and was at the core of our negotiations with the SNP to form an administration. In Labour we know that SNP cuts mean we have fewer classroom assistants right across the country and we believe that is part of why education standards have been falling nationally under the Nationalists. That’s why we refused to do any deal with the SNP unless they committed to our plan to increase the number of classroom assistants. Of course, the SNP had their own “red lines” and one of them was expanding Gaelic education in Edinburgh. These are just two of 52 commitments the SNP-led minority administration published this week. This is just the start however. We now must cost and prioritise them with input from other parties, and then covert them to measurable objectives within the context of a budget most people expect the SNP/Tory Governments to cut. For example, how many more classroom assistant do we need? Should they be a greater priority than, say, expanding free school meal provision to holiday times or filling potholes? Let me be clear, all the commitments will be delivered, indeed the work is already underway in many cases. However, Edinburgh’s 63 Councillors must decide which are greater priorities. To stimulate debate, I raised the hypothetical question of what should be the greatest educationpriority – expanding Gaelic Medium Education or tackling the attainment gap? This was because it’s a good illustration of the multi-dimensional conflicts we face. Yes, Scotland absolutely has a duty to protect the Gaelic language and culture. However, we must also consider the fact that only 10% of kids in Gaelic education come from deprived homes. The average in Edinburgh schools is over 20%, but many have well over 80%. I deliberately did not answer that question. However, I note that Councillor Perry (Labour and Education Convener) and Councillor Dickie (SNP and Education Vice-Convener) now have and they say closing the attainment gap is their “top priority” (report, 17/08/19). ← It can only be good news that complaints relating to waste management have declined.